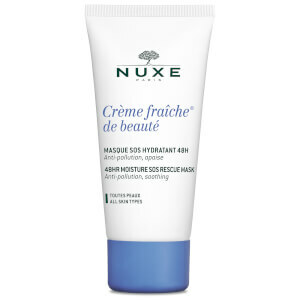 Replenish dry and sensitive skin from top to toe with NUXE Rêve de Miel Ultra Comforting Cream; a rich, silky body cream that works to restore softness and suppleness, without greasy residue. Enriched with nourishing Honey and Sunflower, the lightweight, quick-absorbing formula soothes and hydrates, whilst enveloping the body in a luxurious fragrance to pamper the skin and senses. Expect smooth, comfortable skin with minimised dryness, especially in winter. 95.1% of natural origin ingredients. Apply as often as required over the whole body, paying particular attention to very dry and rough areas, especially in winter.